Karen Marie Nolting, 63, of Berger, MO, passed away Sunday, February 10, 2019 at her home. Karen was born in St. Louis, Missouri on September 29, 1955, a daughter of the late Harvey L. & Elsie L. (Fischer) Nolting. She was the wife of Larry Price. They were united in marriage on August 28, 1993, in Hazelwood, Missouri. Larry survives at their home. 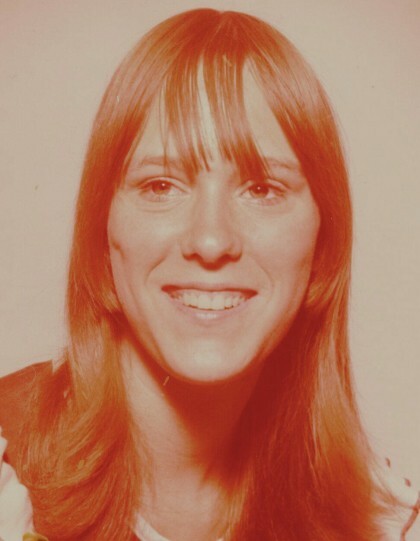 Karen is also survived by a daughter, Kimberly Nolting, of Defiance, Missouri; a step daughter, Amanda Price, of St. Louis, Missouri; by a brother, Steven Fischer, of Houston, Texas; a brother, Donald Nolting, of O'Fallon, Missouri; a brother, Harvey Nolting, of Weldon Springs, Missouri; two sisters, Linda Bryson, of Warrenton, Missouri; and Sharon Riefle, of St. Louis, Missouri; a brother, Fredrick Nolting, of St. Louis, Missouri; a brother, James Nolting, of O'Fallon, Missouri; a brother, Michael Nolting, of Wright City, Missouri; a brother, Gary Nolting, of Warrenton, Missouri; by three grandchildren, Devin, Dennis, and Julia Gregory, two great grandchildren, and many nieces, nephews, and great nieces & nephews. She is preceded in death by her parents, and a sister, Sandra Taylor. Karen worked as an in home health care aid. She worked for NECAC for several years. She enjoyed doing her job and she felt it was very satisfying because she took care of other people and helped them in their time of need. Visitation will be held Friday, February 15th from 10:00 a.m. to 2:00 p.m. at Toedtmann & Grosse Funeral Home, Hermann, where a funeral service will follow at 2:00 p.m., with Pastor Darrel Deeker officiating. Memorials may be given to Hermann Area Crusade Against Cancer. C/O Toedtmann & Grosse Funeral Home.